A sneak peak at the upcoming SCAA Chronicle! Recently, I was listening to an interview with cheese monger Gordon Edgar in which he explained how critical it is to be able to educate his customers about cheese, while at the same time recognizing how difficult it is to impart the entire story of cheese to them. “When someone is paying twenty dollars a pound for cheese, you have to be able to tell them the story behind that cheese, but you can’t really tell them everything,” Edgar said. He then launched into a compelling story about the plight of small family dairy farmers and their struggles with the economics of milk and cheese. As I listened, I was struck by the similarities in our products and the challenges of raising the level of the consumer experience while selling them a product with which they simultaneously have tremendous familiarity and very little real knowledge. In both cases, educating a customer is a delicate balancing act of engagement. In both cases, the product is being sold by someone who is not the producer. In both cases, we have to assess how important the product is in the customer’s hierarchy. So how do we prepare our very own cheese mongers—the working baristas—in order to engage our consumer? Think there’s nothing in common between maple leaf-smoked goudas and estate-grown, hand-drip Salvadors? Well, think again. 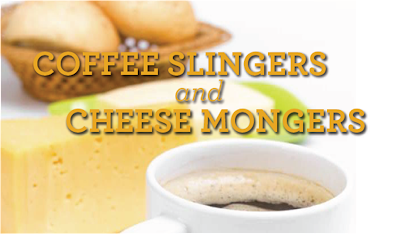 In Issue #3 of the Chronicle, SCAA’s Executive Director Ric Rhinehart explores the relationship between cheese-mongers and coffee-slingers, and asks what one can learn from the other in order to reach and teach consumers. The answer is, not surprisingly: a great deal. SCAA Members get their subscription to The Chronicle FREE! Not a member yet? CLICK HERE to learn more. Just want to subscribe to The Chronicle or purchase additional copies? Visit the SCAA STORE. You know that famous quote, the one that says imitation is the sincerest of flattery? Well, if that’s the case, specialty coffee should be flattered because we have certainly been imitated. Most coffee—whether it’s specialty or not—now carries descriptors like gourmet, premium, coffeehouse-style, and others. The words sound good—and in many cases, the coffee is pretty good too. As okay becomes better, it’s forcing better to rise to best. That creates a new set of challenges for the specialty coffee industry, mainly in convincing people that there really is something special about specialty coffee, something so special that when presented with a myriad of choices, consumers will understand that specialty coffee is the better option, the one worth seeking out, waiting a little longer for, and paying a little extra for. 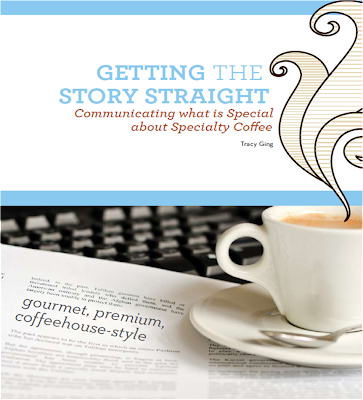 It’s hard to explain to consumer just what, exactly, is so special about your specialty. How do you do it without resorting to the current industry cliches? Tracy Ging explores the options and gives solid advice for taking your “coffee talk” to the next level.